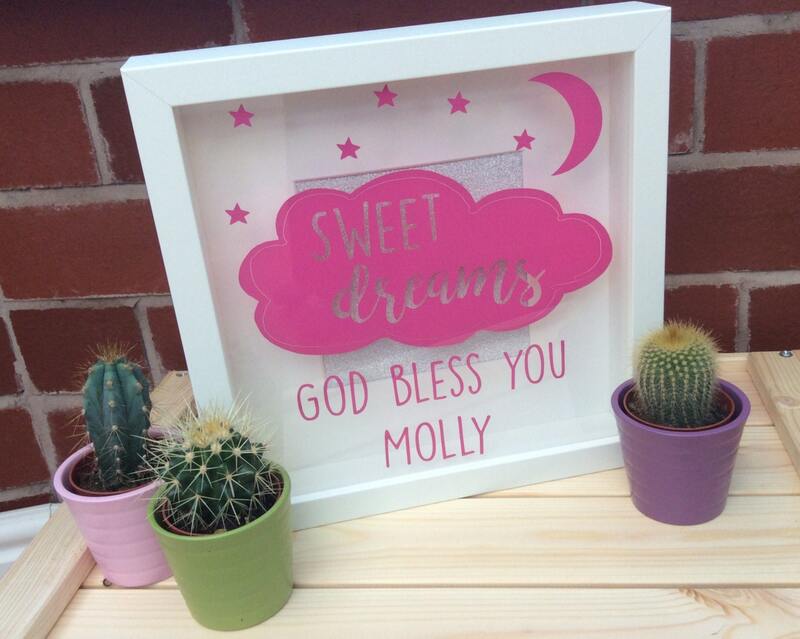 A beautiful addition to a child's bedroom or nursery as a shadow box frame with a quote that reads "Sweet Dreams, God Bless You". The name of the child can be added for a personalised touch. 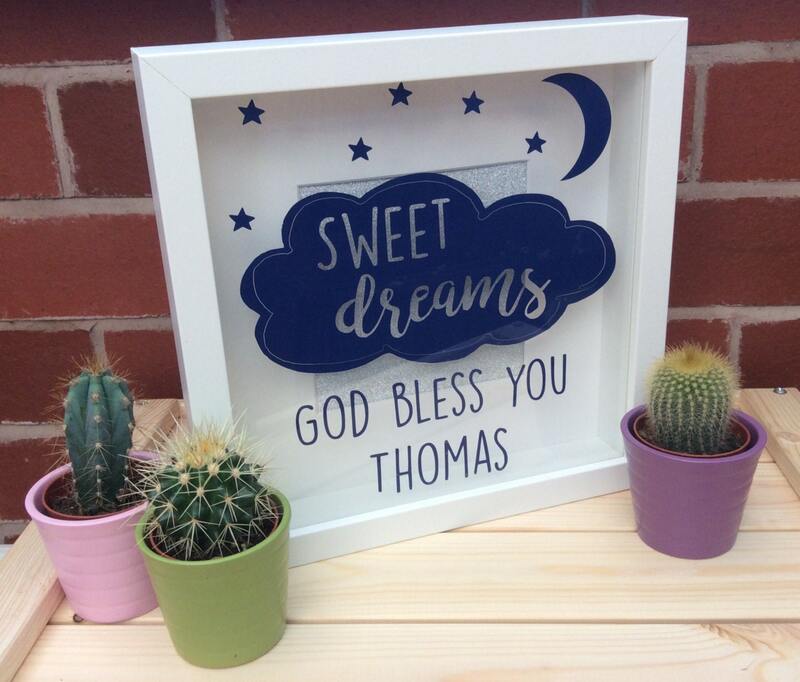 An ideal gift or keepsake for a christening or new baby. Can be custom made in a colour to suit a boy or girl and the nursery decor. 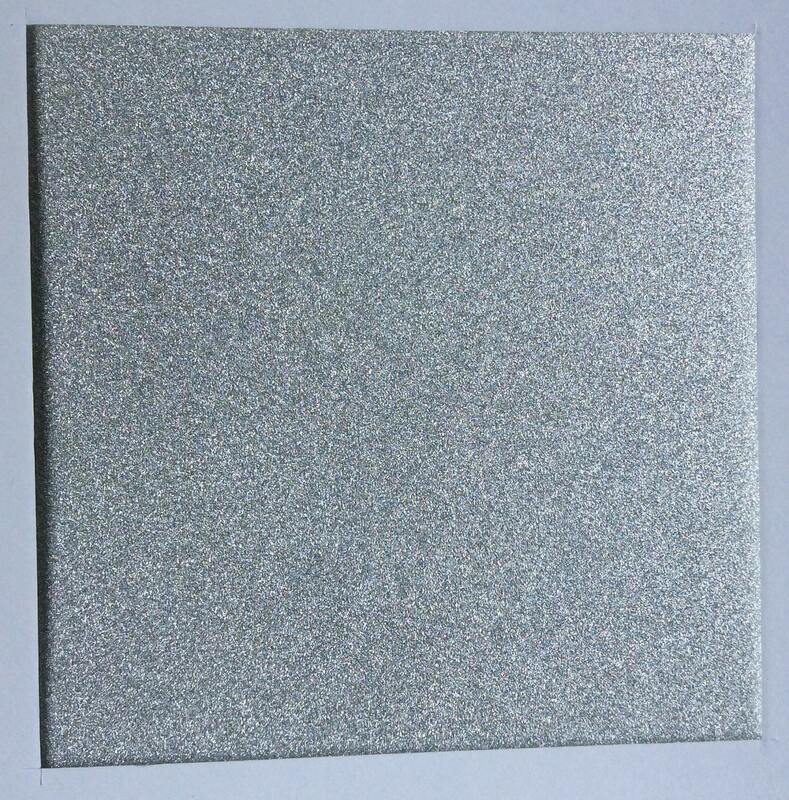 White frame and Silver sparkle background. Please send a message with the name you would like the frame personalised or add an Etsy note when purchasing.